Danica Patrick and Packers quarterback Aaron Rodgers, left, spent a week in Africa taking part in a Starkey Hearing Foundation program in which they helped fit people with hearing aids. Danica Patrick doesn't think her recent trip to Africa will have any direct impact on her approach to the Indianapolis 500 next month. It might affect her approach to life, but as far as relieving anxiety or having a profound change on her outlook as she embarks on her final race, she doesn't expect much of a change. "Every time you travel, you get perspective -- going to India and Africa, seeing how good you've got it and also experiencing other cultures and getting comfortable there, which I've always loved," Patrick said in a phone interview. "I'm good with travel. I don't think it is going to directly affect the Indy 500, but any time you travel and go to different countries, you gain more perspective and [become] maybe a little bit more cultured and wise." Patrick will turn laps in an IndyCar for the first time since 2011 when she tests Tuesday and Wednesday for the May 27 Indianapolis 500 at Indianapolis Motor Speedway. The test was scheduled for March 28-29 but was postponed because of a cold and rainy forecast. Between the postponed test and now, Patrick and her new boyfriend, Green Bay Packers quarterback Aaron Rodgers, spent a week traveling to Africa. They met the Dalai Lama, then went to Zambia as part of a Starkey Hearing Foundation program to fit people with hearing aids. As someone who has preached and attempted to live a life of taking the challenges as they come and not wigging out over every detail or what the future will bring, Patrick enjoyed meeting the Dalai Lama. "One of the cooler things about him is he generally, especially when walking into the room, makes you feel relaxed and down to earth," Patrick said. "He was kind of joking around with people and smiling, and that kind of made everyone relax a little bit. "He went into his perspectives on things and had a nice message about how to treat each other and kind of an all-for-one attitude. It was really cool." Patrick said that one of the monks who accompanied them on the trip suggested she show video of one of her IndyCar wrecks to the Dalai Lama. "They couldn't get around the fact that in an IndyCar, I go 240 miles an hour -- that's like unfathomable, so I was showing [the monk] some accident videos and he was like, 'You should show him that,'" Patrick said. "He did see a video, and apparently they talked about it later that night. So that's funny. I'm like, 'Can't we show me winning at Japan? Isn't that better than crash video?'" The entire trip did give Patrick some ideas for postracing life. "It's a small world, but in this small world, we're fortunate to live at this very comfortable level, and there is a lot of the world that doesn't," she said. "It's a small world, and you notice that when you travel a lot. There's a pretty high demand of people needing help. "It definitely showed me that, and it definitely sparked some additional [ideas for] trips and charitable efforts in the future." Now it's back to racing work for a couple of days as she prepares for her final race. In November, Patrick announced that she would compete in the 2018 Daytona 500 and the 2018 Indianapolis 500 to complete her racing career. 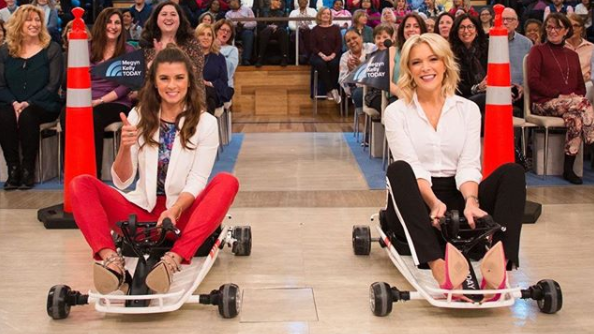 She has focused much of her time on her businesses outside the race car, including a winery, a diet-and-fitness book and a clothing line. But the next four weeks likely will be intense as she makes one last effort to win the Indianapolis 500. 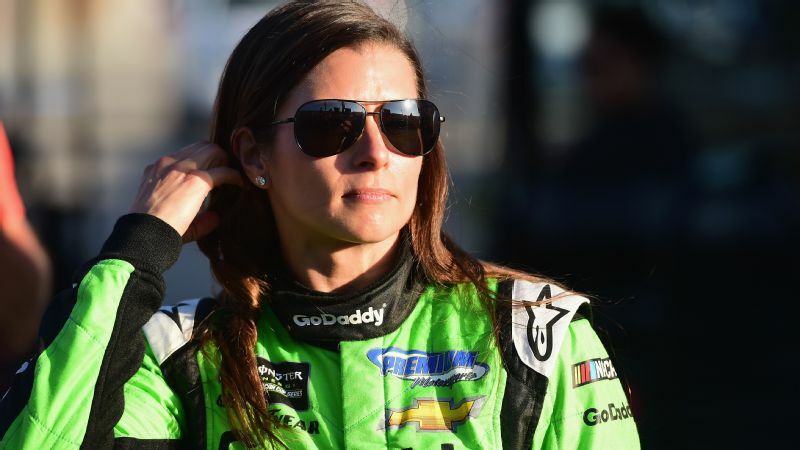 She will sport the familiar green colors of GoDaddy and hopes most things will seem familiar as she steps into the Ed Carpenter Racing car. 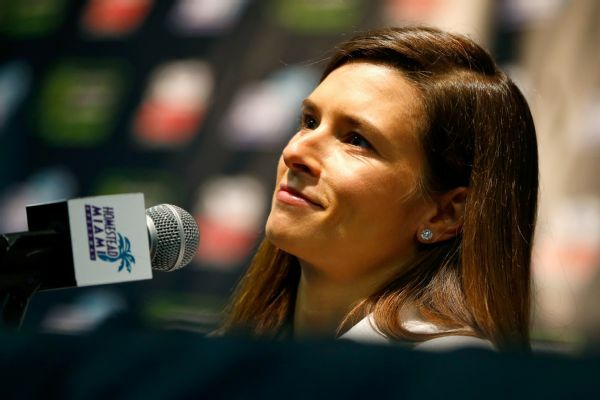 "It's been six-and-a-half years since I've been in an IndyCar," said Patrick, whose third-place finish in the 2009 Indianapolis 500 is the best finish for a woman in the history of the race. "Several things like how to turn it on are questions I have to ask. It will be good to just have that out of the way. "Other than that, I have some anxiety for sure just because I want it to go well, I want it to be smooth. I want it to pick right up where I left off." No matter what happens, Patrick knows her 2018 will be unique. "I'm trying to think of what's more unique in the world -- how many people have met the Dalai Lama and how many people have driven an IndyCar," Patrick said. "But definitely in my world, it's more unique to meet the Dalai Lama since I raced IndyCars for so long. "I've got a whole lot of very cool experiences going on in 2018."